Bristol City Women on Thursday. Vivianne Miedema was on hand with a hat-trick with Katie McCabe adding the other goal. With her hat-trick, Miedema reclaimed her position as WSL top scorer. She’s now on 19 league goals and 27 in all competitions. The win means Arsenal stay just two points behind City with two games in hand. Although they went on to score four, it wasn’t all plain sailing for Montemurro’s side. This tactical analysis will look at the patterns of the game and how Arsenal got the upper hand. In the reverse fixture, Arsenal controlled proceedings with 70% possession. Going into this game, it was clear that Bristol wanted to have more of the ball. Trying to achieve this early on, they opted to press Arsenal high every so often. In the early stages of the game, this worked and they were able to cause turnovers in the Arsenal half. 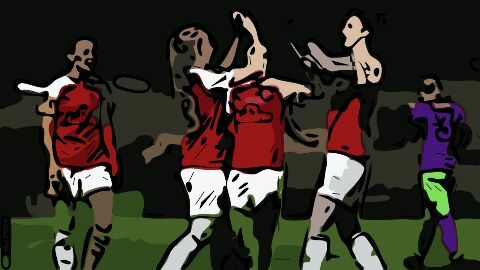 Previous articleHow Arsenal managed to overpower Rennes after the first leg lose? In and out – what squad changes do Arsenal need?